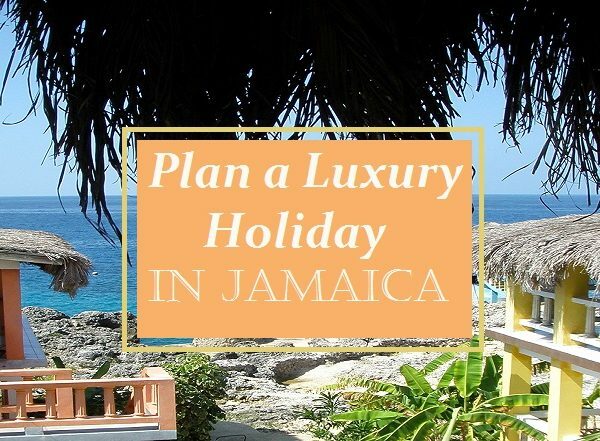 Deciding which luxury villas in Jamaica will suit your needs depends on a variety of factors such as whether you are going alone or as a couple and prefer an adult-only resort, or as a family or large group, as well as your budget. We have culled through the many villas offered for rent to bring our best recommendations to meet your needs. Also keep in mind many resorts offer multiple accommodations including hotel rooms, cottages, and villas. Great for family get-away! Waterfront property located cliff-side on the Caribbean Sea. Highly rated, not only for the beautiful views and grounds, but also for the superior service and staff. Sleeps up to 12 people in spacious accommodations, with all the amenities you would expect in a luxury villa. showers and/or tubs, and comfortable accommodations. – Has a sandy beach (does have coral), infinity pool, Jacuzzi, balconies off the bedrooms with spectacular views, and lots of room to relax. – Main house has fully-equipped kitchen; cottage also has separate kitchenette and living room. – Staffed villa includes daily housekeeping, highly-rated chef, butler, and laundry services. – Amenities include high-speed wireless internet, satellite TV, DVD player and stereo, telephone, air conditioners and ceiling fans, washer, dryer, and ironing board, as well as kayak and snorkeling equipment. Baby cot and highchair also available. While chef service and other staff are included, cost of food, catering, and excursions and activities are extra. Overall a good value for a luxurious vacation. Prices vary depending on season/time of year and whether you are renting the house or the house and cottage. Located in Oracabessa Bay near Ocho Rios, on the northern coast of Jamaica. The Golden Eye Resort offers family-friendly accommodations. 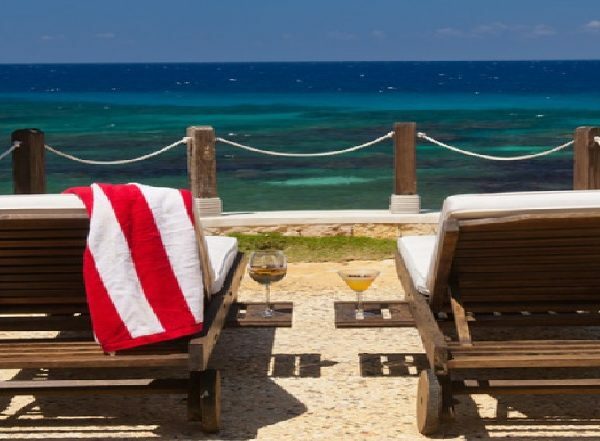 Located on 52 acres, it includes the well-known Ian Fleming historical villa, smaller villas, private cottages and beach huts, all with a breathtaking water view (some ocean, some lagoon). The resort has 2 restaurants, a spa, 2 pools, poolside dining and beach bars, optional services such as babysitting. The resort is known for it’s friendly staff and relaxing atmosphere. – The Fleming Villa – This is the most luxurious of their villas. It sleeps 10 (the main house has 3 bedrooms and 2 guest cottages include 1 bedroom each). Has its own private beachfront and pool. Dedicated staff including a cook, housekeeper, and butler. Indoor as well as outdoor bathroom including tub and shower. Air conditioning, ceiling fans, Wi-Fi, satellite TV. – Original Villas – These are smaller, and include 1, or 3-bedrooms. They are on the water, with 3 having an ocean view and one on the lagoon. The 3 bedroom is comprised of separate structures for each bedroom and the kitchen. – Beach/Lagoon Villa – 1 and 2 bedrooms, on beachfront or on the lagoon. Living rooms include a large daybed that could sleep 1 or 2 children. – Lagoon Cottages – 1 bedroom, on the lagoon with private dock and kayak. Suitable for up to 2 adults and 1 infant (crib available upon request). The resort suggests flying into Montego Bay Airport and they can arrange for a driver to pick you up and transport you to the resort (extra cost). This is 73 miles away, so plan on a 1-2-hour drive. This can be a nice introduction to the area as drivers tend to be quite friendly and knowledgeable although it may be more difficult with young children. The founder of the Golden Eye resorts, Chris Blackwell (founder of Island Records which brought us Bob Marley among many others), also owns Island Outposts which is a collection of distinctive and luxury Jamaican hotels and villas. Strawberry Hill – located in Jamaica’s Blue Mountains, they have 1 and 2 bedroom villas in beautiful surroundings with lush gardens, wrap-around verandas and breathtaking mountain views. Children are given a lower rate. The Caves – Adult-only resort (16 years or older), this resort includes a variety of accommodations, built atop ocean caves and with ocean views. 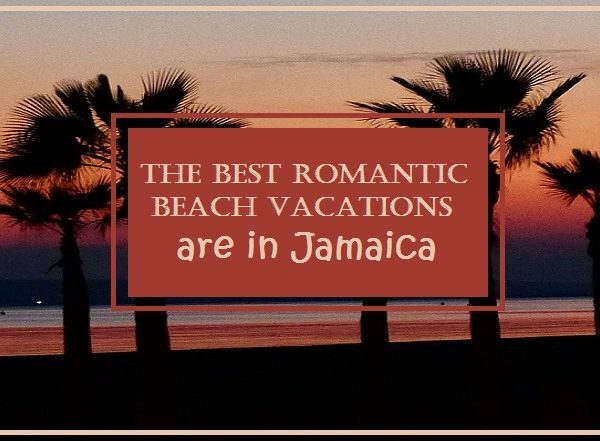 Located in Negril, which is known for it’s metropolitan flair and nightlife including live music. luxury amenities including fully equipped kitchen, high-speed internet, flat screen TV, washer/dryer, etc. Choice of accommodations-only rate or all-inclusive rate, which gives access to additional Caves features including pool, Jacuzzi, spa, and additional swim/sun areas. Unique cliff-top bar within 2 minutes walking distance. Port Antonio is a bit less crowded, and there is much to enjoy including rafting down the Rio Grande, scuba diving and snorkeling, yoga retreats, and natural pristine lagoons. The Trident offers oceanfront luxury villas designed to feel simple, elegant, and home-like, while enjoying the ocean views and amenities to relax and enjoy your stay. The Trident has 13 villas, ranging from studio size to 1 and 2 bedrooms, as well as combo options where you can select multiple villas to best meet your needs. King-sized bed, broadband wireless internet, TV, private terrace, outdoor tub, indoor shower, plunge pool (small private swimming pool), landscaped grounds and ocean views. The Trident caters to a multitude of guests, have accommodations for business conferences and private events, weddings and honeymoons, and has a children’s area with on-site supervision. They have a private beach on the grounds, a gym, and a spa. It can be fully rented for a large group as well. The villas at Jake’s are family friendly and comfortably elegant. There are 5 options, most with 3 or 4 bedrooms. The largest villa has 2 structures, one with 4 bedrooms and the second with 2, for a total of 6. Several bedrooms have en suite bathrooms. One villa has a full-featured kitchen while the others have a chef daily. All villas offer privacy, multiple common rooms, wireless internet and satellite TV, air conditioning and ceiling fans, private beach access, fresh water pool, staff of 3 including a daily chef. Affordable vacation, good for singles, couples, and families. This is a top-of-the-line, family friendly, full-luxury secluded villa – it is actually a private 5-bedroom home on the coastline. The bedrooms are done in different period styles and influences, and given names such as South Pacific, British Colonial, and Mahogany Room. Four of the bedrooms have king-sized beds and the fifth has a bunk bed with a trundle bed, for kids/teens; all have air conditioning and ceiling fans. There is Italian travertine marble, exotic hardwood floors, teak and other fine imported furnishings and accessories throughout, a private beach and large heated infinity pool. The villa is over 8000 square feet of indoor space, in addition to the outdoor living spaces and grounds. Also included is several gaming systems (Wii, PlayStation Move, X-Box, large gaming monitor), Wi-Fi internet access throughout, computer, fax, printer, intercom to all rooms and spa, crib and highchair, and large dining area overlooking the pool area. You can rent the whole villa or by the bedroom, and by the week or less. High end spa, for use at any time for no extra cost, with trained staff and features such as a steam room, oxygen treatments and anti-aging treatments. Private gym included, with free weights and cardio machines. Water equipment included such as wave runners, kayaks, paddleboards, boogie boards, floats, jet skis, and snorkeling gear. Full staff is included for the week’s stay, including major-domo (staff head), 24-hour concierge and room service, 2 butlers, French-trained chef, housekeeper, laundress, groundskeepers, and manned gate house. Located 10 minutes east of Port Antonio, on the northeast coast of Jamaica. A private 6-acre estate with 5 options, including three deluxe cabins, one suite, and one self-contained three-bedroom villa. The estate spans from the Caribbean Sea to the mountain foothills, so there is a variety of scenery as well as different atmospheres and views. The villa is called Sanwood and has a contemporary nautical theme with a beach house feel, a media lounge, and private art collection. The three guest rooms include 2 upper-deck verandas and a swimming pool, with an ocean view. Children are welcome, and nanny services are available for an extra cost, and families are encouraged to stay in the Sanwood Villa. On property restaurant offers Jamaican, Asian, and internationally influenced menu options. Book any one of these villas today through us to get a customized vacation experience to meet your specific request and needs.